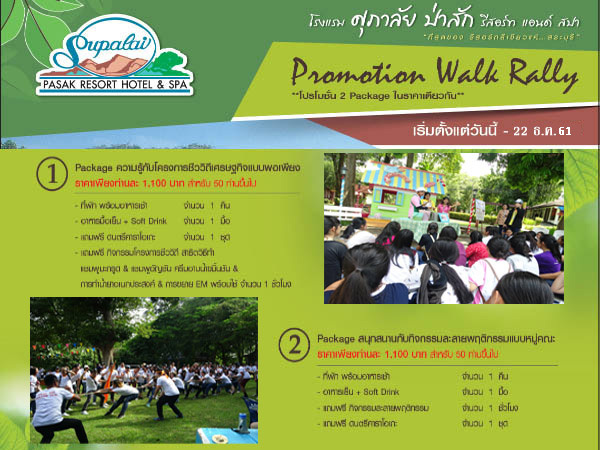 More than 1,000 famous firms and organizations have proved that Supalai Pasak Resort Hotel and Spa is the appropriate place for Walk Rally, activities and seminars. 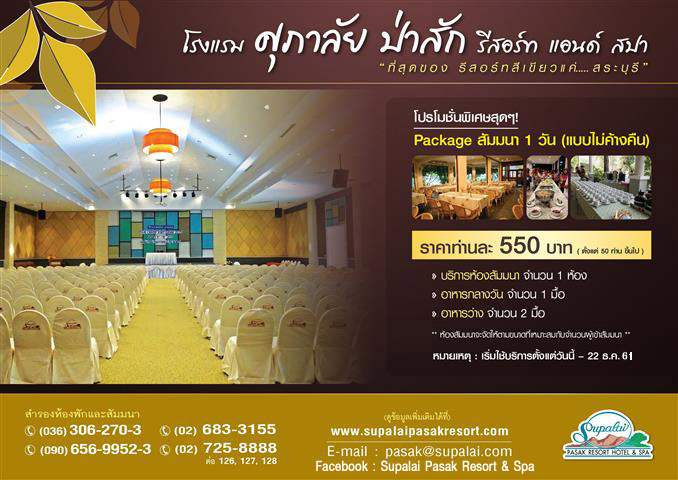 The resort provides 5 fully equipped function rooms. The rooms can flexibly be arranged to accommodate from 30 persons up to 600 persons.